St John’s Methodist Church meets in the Exchange Project’s building in the centre of Colne. 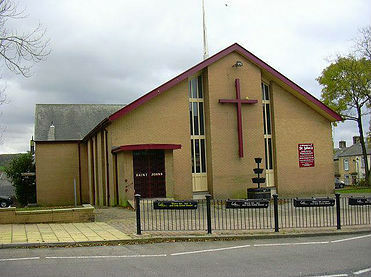 As well as supporting the many community events associated with the Exchange project, the congregation continue to worship each Sunday in the very versatile premises which were built in 1968 and provide a great resource for Christian witness in the main street. In September 2016, the St John's congregation ceded control and maintenance of the building to the Circuit. We continue to worship in the Church and hold regular Church meetings. The Circuit created a management group to maintain the building. This is now called the Exchange Project.